Perfect for recording bp daily! The BEST part is that I CAN export the data to a CSV and email it to myself, open it in Excel and print it. 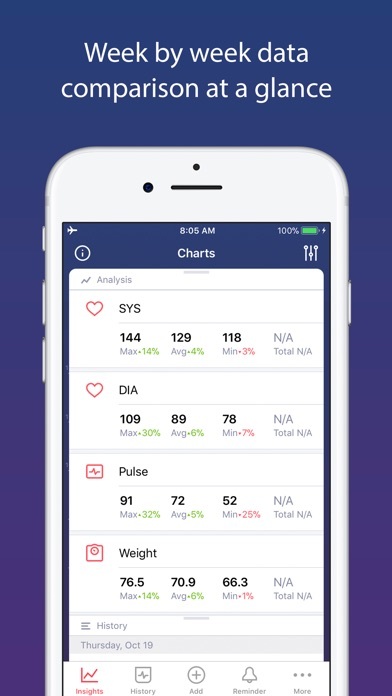 It is the excellent app to store the daily blood pressure measurements and use the data for graphical analysis. 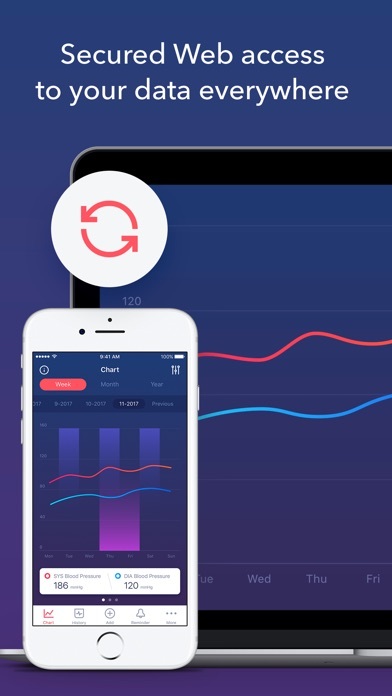 It is easy to use and I was higly satisfied with the app and the app stability. Many thanks to the dev team to develop this app. 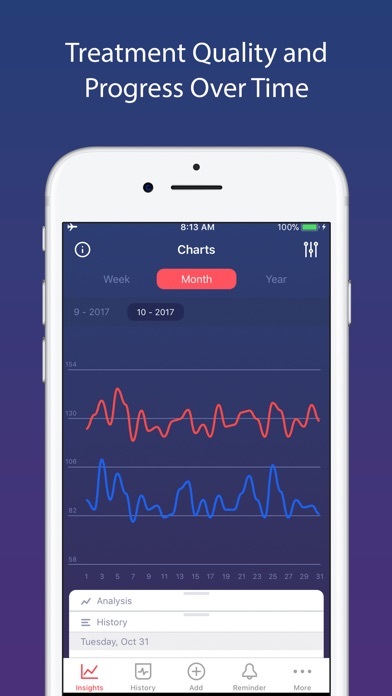 As a physician, this app really gives me the information I need at glance. It helps patients establish complience with their cpesific treatment plan and assist doctors in evulating the plan. 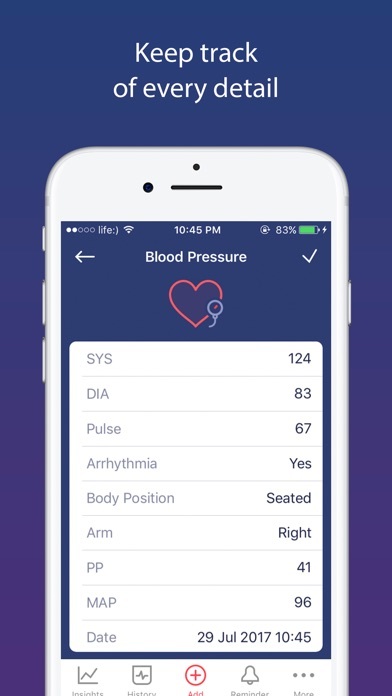 If you need to keep track only of your BP and pulse, this is the best blood pressure app you can find.Make notes, that means more than you can imagine! Best of all you CAN email all your data to give to your Dr. Thanks for the app! Downloaded the app to check it out, and after I set up my profile, a window popped up a window saying that I would get a free 3 day trial, something I didn’t see anywhere in the description in the App Store. No big deal I guess, so I clicked on the accept button when another window popped up with a Subscription notice where it said it would automatically charge me *$99.99* for a year. Nowhere on the App Store page does it say it will charge you *$99.99*! Only that there are a $5.99, $69.99, or $49.99 subscription. Why the deception by leaving out vital information like that?! 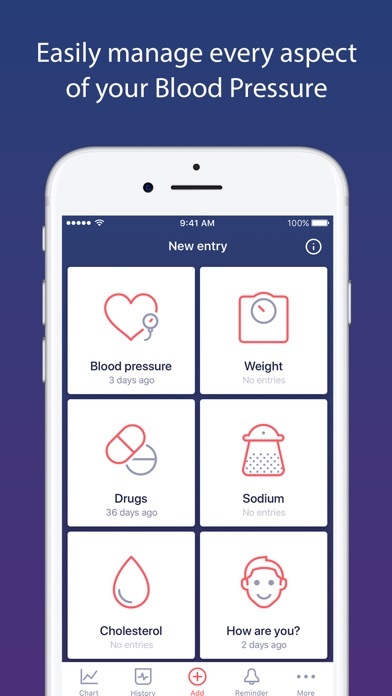 And what does basically $100 a year buy in a blood pressure monitoring app?! I would stay far away from this app. Very deceptive practices by the developer. Not happy that when you download . It tells you 3 days are free then 79.99/year. You should disclose that up front. How is it that I’m being charged $80 dollars for something I didn’t even agree to. I never put that I wanted a year subscription and had deleted the app as soon as I seen it downloading on accident. I then get an email by apple that I’m being charged $80. This is not right. I need my money back as soon as possible. $50 or $80? This is crazy and no way to use this app after paying the initial $5.99 fee. This is a rip off. I would like to know how I can get my money back? User friendly and helpful in keeping track of BP. It helps me create a BP diary that can be printed for my doctor’s visit!